Here we are at the Unconfiscatable conference in Las Vegas. I’ve been pleasantly surprised with the venue, quality of content and the the number of familiar faces. One of those faces belonged to Gabe Higgins. Gabe and I have been crossing paths since 2013 on twitter. In 2015 we started seeing each other at events and talking more through the Edge Slack channel as Ambassadors. Gabe is such a great guy. He has the type of values and big picture vision that make him someone you want to work and hangout with. When not parenting, he also runs an incubator/coworking/events space called BlockSpaces, which offers a collaborative environment for the crypto and blockchain communities and also hosts educational events. Gabe and I set up shop in the media lounge and started to chatting. 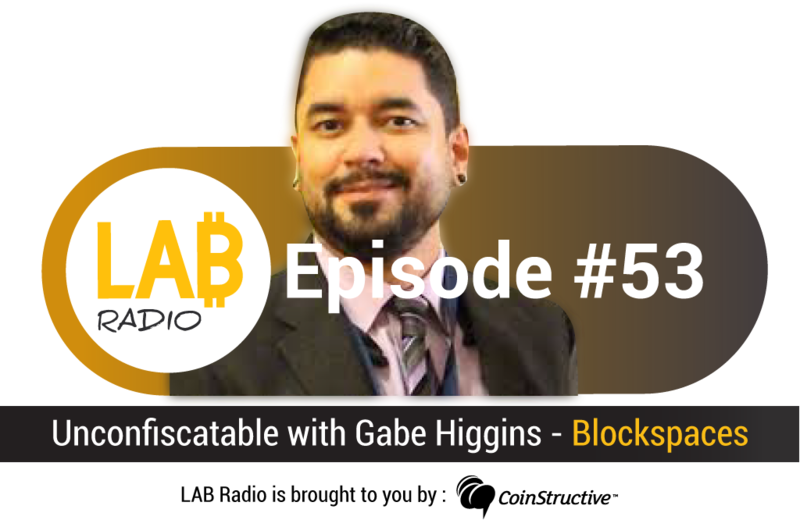 Gabe talks with us about how he got started in Bitcoin back in 2013. We cover why he came to the conference and the difficulties of having to pivot your business’ focus. I ask Gabe what it’s like to be in a relationship with your cofounder. We talk about if the children they’re both raising have any idea about what Mom and Dad are doing and if they understand how this stuff works. We find out about his stance on maximalism. Finally, Gabe shares his views on what may happen with Bitcoin in the next 1 to 2 years. Highly interested in emerging technology, specifically with distributed p2p networks, bitcoin (cryptocurrencies), blockchain tech, smart contracts, IoT, decentralized autonomous organizations, InfoSec, EdgeSec, and anything that promotes autonomy. I’ve been advising VC funded blockchain companies with branding, PR, social media marketing, and strategic partnerships. Been active in the bitcoin space since early 2013. Lead organizer for bitcoin & blockchain meetup groups together having over 1500 members and sponsored by Edge and Bitcoin.com. Collaborated with leading bitcoin payment processor BitPay for the St. Petersburg Bitcoin Bowl in Dec 2014. Had over 200 local merchants begin accepting bitcoin at the time and the area remains one of the largest bitcoin hotspots in the world. Now starting to merge my Meetup group with the connections in the industry to create a blockchain technology community & development center where we help educate the public, train developers, and incubate blockchain related startups from our center.